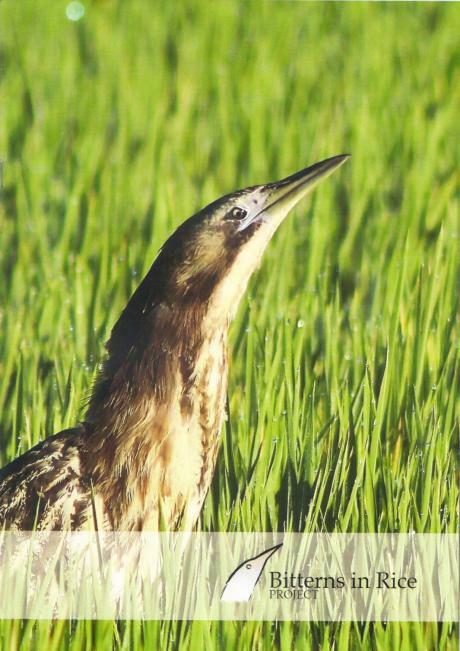 In July 2015 the Bitterns in Rice Project launched a full-colour, 16-page booklet summarising what they've learned over the first three years of the project, and sharing many of the amazing photos they've taken of bitterns in that time. Meet Robbie the Bittern - born on a Coleambally rice farm and the first Australasian Bittern to be satellite tracked - and read about his epic trek to the Victorian coast. Learn about Australasian Bittern ecology, and why Australian rice farms are so essential to the conservation of this critically endangered water bird. Discover what makes a rice farm bittern-friendly and how Riverina rice farmers are encouraging bitterns to breed in their crops.